Publisher’s Blurb: Paid the little parrot cannot speak well like the others. Will he give up or keep trying to speak better? Come join Padi on his learning journey. 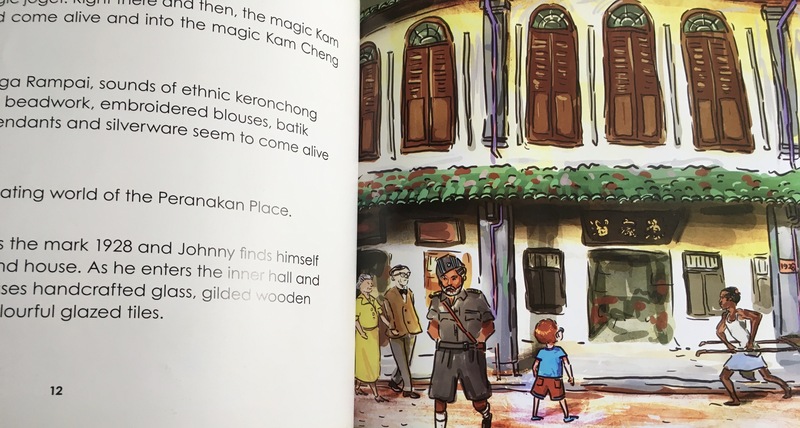 Brief Review (in under 50 words): Illustration features iconic places in Singapore. 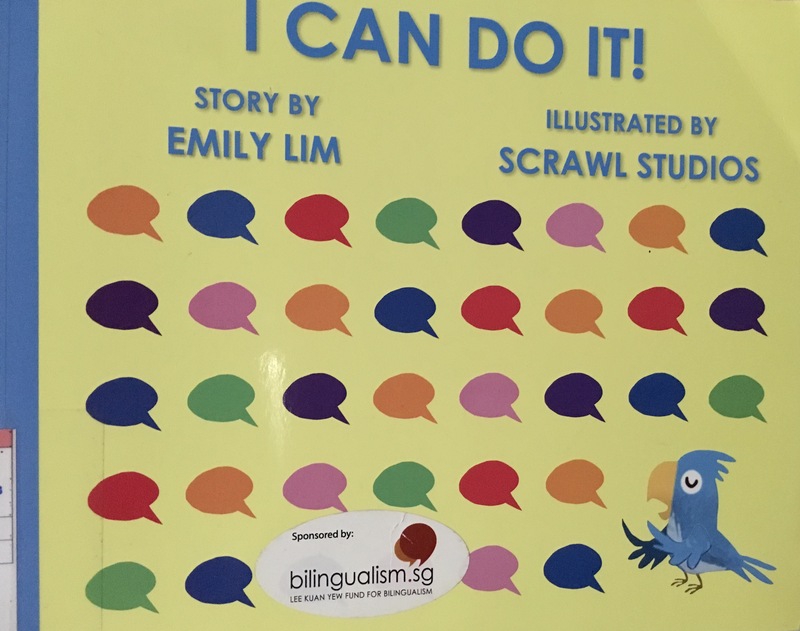 Although sponsored by bilingualism.sg, the review copy only had English text. Publisher’s Blurb: Why is Daddy swimming in strawberry jam? Why is mummy becoming an otter? And why are the otters in this book wearing underwear? 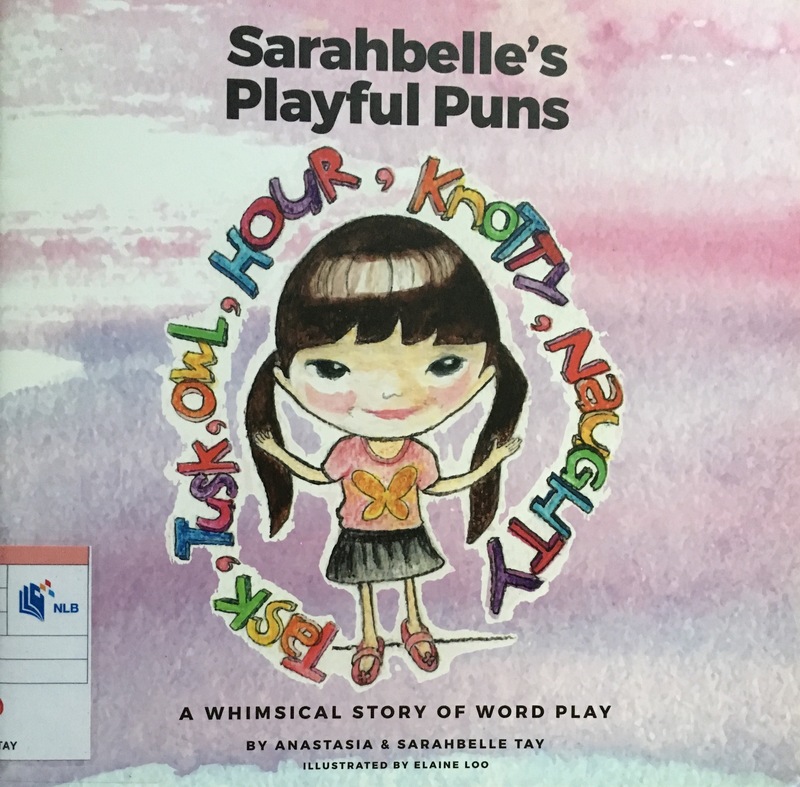 Join Mummy and Sarahbelle in this heartwarming and tickling story in which the spirited girl amuses Mummy with her playful puns as they go about their day. Demonstrating that learning and speaking a language is fun and enjoyable, Sarahbelle finds out that words are powerful and can create different meanings. Brief Review (in under 50 words): A fun way to get readers into word play. Publisher’s Blurb: Johnny loves to explore. On a little street in Singapore, he finds an unusual magic Kam Cheng (spice pot) in an old curio shop. He discovers that when he does a special dance, he goes on a magaical journey into the wonderful Peranakan Place. There he meets a pretty little annoyance girl and her father Baba Pong Tay.and together they solve the mystery of the pineapple tart recipe. Johnny is also introduced to the unique food, fashion and customs of this amazing culture. 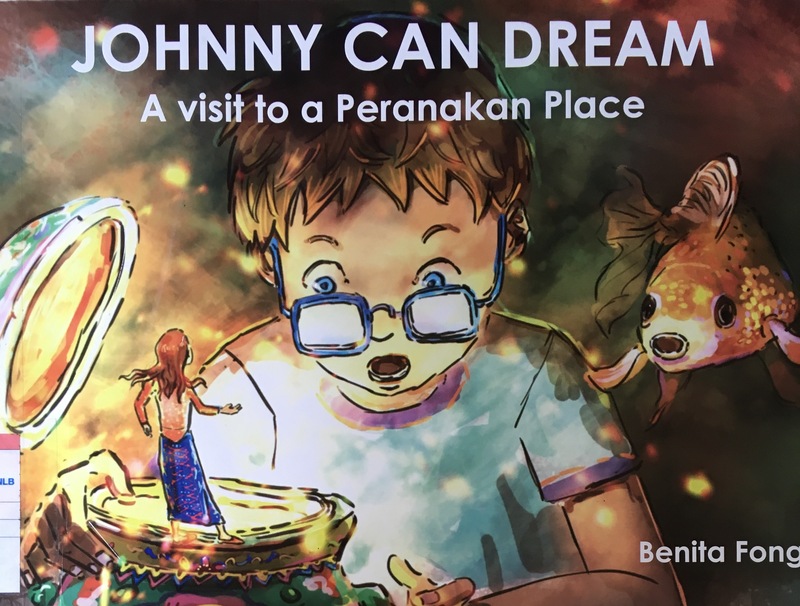 Come join Johnny on a magical visit to the Peranakan Place.